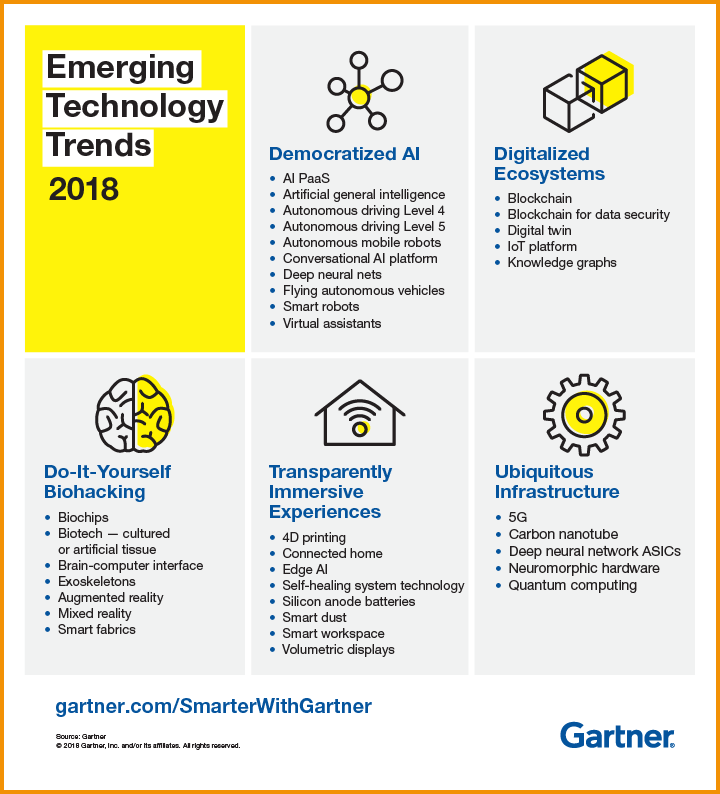 This year, Gartner classified trends into five categories: democratised artificial intelligence, digitalised ecosystems, do-it-yourself (DIY) biohacking, transparently immersive experiences and ubiquitous infrastructure. You can learn more about them here. 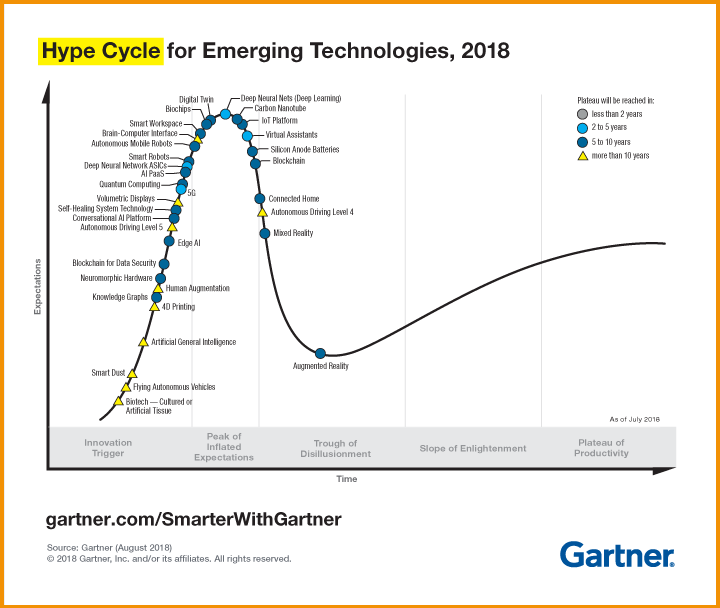 If we stick to Gartner’s predictions, 30% of Web browsing sessions will be done without a screen by 2020. 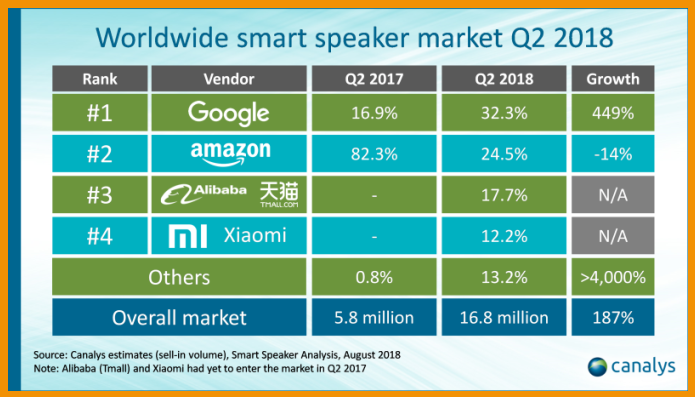 Among GAFAM (Google, Apple, Facebook, Amazon and Microsoft), they all offer smart speakers and digital assistants save Facebook which has been a bit slow to adopt voice computing. Facebook is not foreign to the technology though. 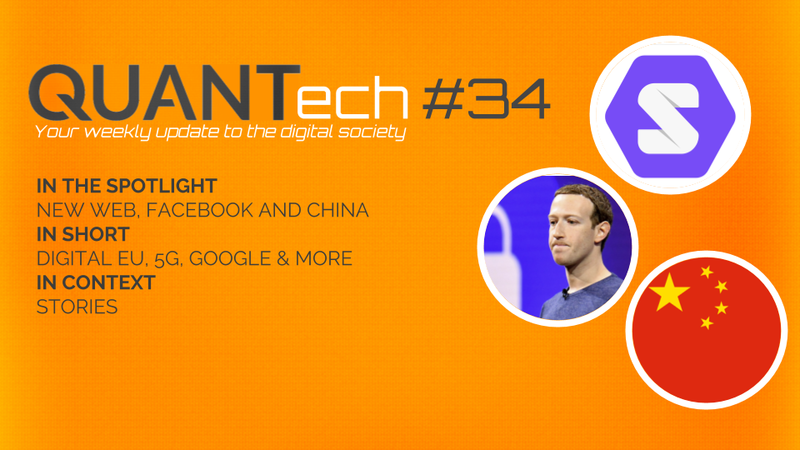 It used to experiment with its AI-based ‘M’ digital assistant since 2016 before shutting it down in January this year. A screen-based smart speaker named Portal was also to be announced at Facebook’s annual F8 developer conference earlier this year, but due to growing concerns about data protection and privacy issues in the aftermath of the Cambridge Analytica matter, the company postponed the announcement. All in all, this hints at how important voice technology is to be for the company’s future development. 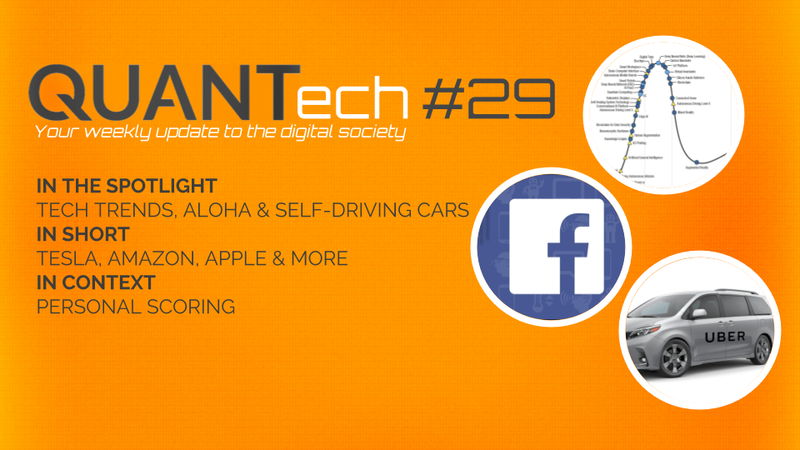 This week, a new speech recognition feature labeled « Aloha Voice Testing » was spotted by mobile researcher Jane Manchun Wong inside the Facebook and Messenger Android apps’ code. We then know things are moving internally. Self-driving cars also made the headlines this week. Toyota and Uber announced that « they have agreed to expand their collaboration with the aim of advancing and bringing to market autonomous ride-sharing as a mobility service at scale. 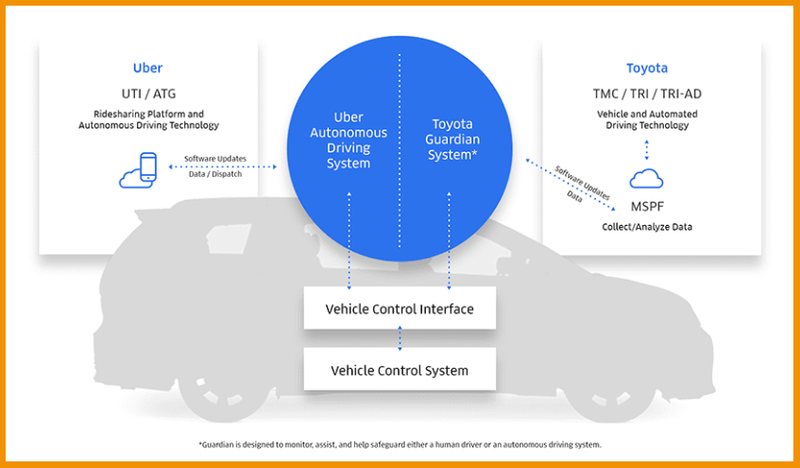 » Toyota will invest $500 million in Uber and both companies will share expertise to make « Autono-MaaS » (Autonomous-Mobility as a Service) a reality. Japan is to host the Olympics in 2020 and talking self-driving cars, new road tests in Tokyo were supposedly the first in the world to involve driverless taxis and fare-paying passengers. At last, we have learned that Alphabet’s self-driving company Waymo has chosen Shanghai for its Chinese subsidiary. We have learned this week that Facebook now rates users on a scale from 0 to 1 to better crack down on fake news. Even though such scoring is meant to be dealt with internally, this reminds us of the ethical questions raised about personal scoring. There are pros and cons. Most people are used and at ease with the idea of rating and commenting on restaurants and hotels. We have been doing so for years with popular websites such as Trip Advisor and Booking.com. What you might be less familiar and comfortable with is the idea of applying such ratings to people themselves. If folks are mostly fine with Uber or BlaBlaCar stars and LinkedIn recommendations when meant to highlight positive experiences in a (more or less) professional context, it is another story when we bring up the idea of personal scoring based on social life. 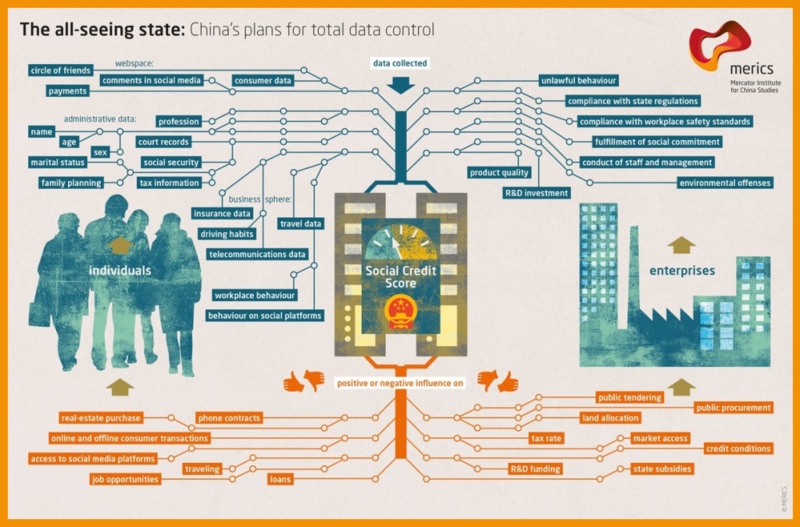 This is what China has been setting up since 2014 with its Social Credit System slated for deployment in 2020: an algorithm-based scoring attributed to citizens based on on-and offline data. Personal scoring which focuses on the good to empower individuals rather than the bad, which would rapidly become detrimental and lead to (digital) leftovers, may be an idea worth thinking about in a professional context to foster excellency. US company Credo360 is one example of a scoring-based platform as we could envision it in such a way. When it comes to rating social life, this can quickly lead to very unintended consequences though. Given a good social credit gives Chinese citizens benefits over those with a bad one, we can easily picture how such rating may impact the social fabric: If the personal scoring of one is impacted by the one of their relatives, this is inevitably to lead to some sort of high scoring-based elite people hanging out with one another while carefully avoiding others. US dystopic soap Black Mirror famously produced an episode depicting what such a society would look like. Search « Nosedive » and watch if for yourself if you have not watched it yet. Scoring-based social network Peeple, which intended to launch in late 2015, immediately stirred up outrage across the Internet at the time as it appeared very « Nosedive-looking » to the people. The service quickly shut down after launch, and it is reportedly to come back this year. Let’s see how it will roll out. 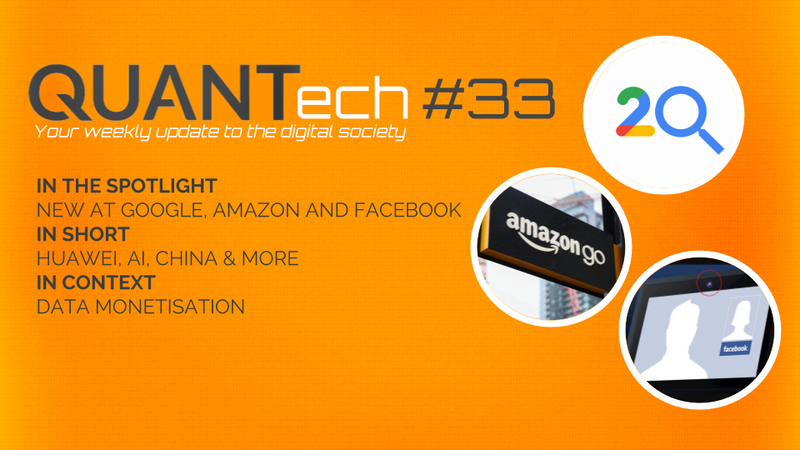 Scoring or not, there is one thing for sure: As the world gets increasingly connected, digital is having a growing influence on our lives. Our digital footprint is no longer anecdotal.